Dr. Norman Marcus is dedicated to the elimination of pain. NMPI offers individualized and comprehensive treatment plans to minimize and eliminate the most common causes of pain: muscle tension, weakness, stiffness, spasms and trigger points. Even though treatment for back and neck pain in the United States costs more than $100 billion per year, it frequently fails to provide pain relief and improvement in function. Dr. Marcus provides a solution that can eradicate your pain and end your suffering. 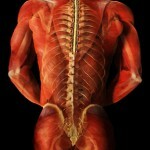 Most doctors assert that back and neck pain originates from your spine, discs, or nerves. Dr. Norman Marcus has proven that most back and neck pain is caused by soft tissue such as muscles and tendons. 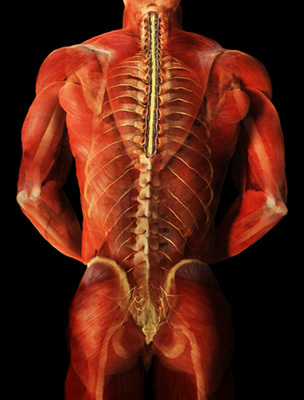 Even though muscles are the most common cause of pain in the back, neck, and shoulders, a thorough examination of muscles is rarely, if ever done. At NMPI, Dr. Marcus provides effective care. He has revolutionized how doctors treat pain using a diagnostic instrument that electrically identifies the source of painful muscles. Dr. Marcus has a track record of eliminating pain in patients who were previously diagnosed with sciatica, radiculopathy, failed back surgery syndrome, degenerative disc disease, complex regional pain syndrome (previously called reflex sympathy dystrophy), plantar fasciitis, and Fibromyalgia Syndrome. Many patients treated at NMPI leave free of long standing back pain, neck pain and headache. The muscle treatment techniques, for the relief of back pain, used by Dr. Marcus were developed by his mentor Dr. Hans Kraus, the White House Physician for President John F. Kennedy, who relieved the President from his lifelong back pain. Although at NMPI the main goal is to treat and cure patients, Dr. Marcus is also committed to assisting organizations in the development of evidence-based guidelines for the treatment of common pain problems. About Norman J. Marcus M.D. Dr. Norman Marcus is a physician who cares about his patients and provides treatment that works. He launched the Norman Marcus Pain Institute for the treatment, relief, and management of pain in 1998. As consultant and researcher, Dr. Marcus has established national pain medicine models for over two decades and has developed a proven diagnostic approach that targets the cause of your pain and successfully treats it. Castle Connolly has named him one of Best NYC back pain doctors for more than ten consecutive years and in 2012 New York Magazine listed Dr. Marcus in their Best Doctors issue. He is a pioneering author of two books Freedom from Pain and End Back Pain Forever. A past president of the American Academy of Pain Medicine, Dr. Marcus is a member of five professional societies and has presented over 100 lectures about diagnosing and treating pain to audiences throughout the world. In 1977, after two years as a staff physician at the Headache Unit at Montefiore Hospital, Dr. Marcus co-founded and directed the first pain center in NYC at Montefiore Hospital. He went on to establish and direct pain centers at Lenox Hill Hospital in New York City (1983-1998) and The Princess Margaret Hospital in Windsor, England (1997-2001). Currently he is both the Director of Muscle Pain Research and an Associate Professor of anesthesiology and psychiatry at the New York University School of Medicine in NYC. Dr. Marcus is a media favorite and frequent guest on television having shared his expertise in the treatment and management of pain on The Today Show, CBS This Morning, Good Morning America, Fox & Friends, and The Early Show. Dr. Marcus’s patented approach utilizes the electrical identification of painful muscles and indicates the specific treatment required. His treatment approach has been published in peer-reviewed journals and chapters in academic textbooks.